I always believe that when I have read an Angela Marsons book that is the best so far and here I go again saying the same thing. She hasn’t just reached the top of the ladder she is in the clouds and even the sky isn’t the limit with this lady. Just love this whole series. The opening scene in 1989 is really heart breaking I can never get my head round the pure evil acts that one human can do to another. Here at this moment is when humanity takes a dive even further and you feel ashamed not just to be British but to be human too. In present day an archaeological class is out in the field, literally out in a field learning the importance of following procedure, no matter how tedious, so that relics of the years gone by are not damaged. What is discovered are the human bones of a not too distant past. 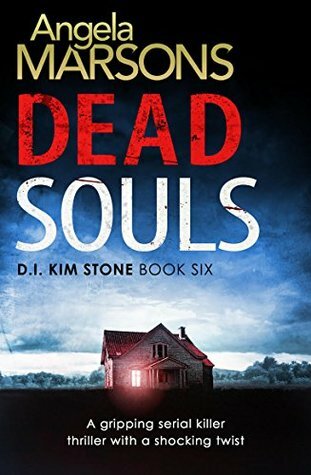 Detective Kim Stone is first on the scene simply by chance of being in the area but when Detective Travis arrives the air could easily turn a shade of blue. Having a turbulent past would be putting it mildly as each of them is willing to battle for this obvious murder scene. They should have been careful what they wished for. This is an absolutely stunning story and tell it as it really is Angela Marsons makes it all up close and personal. It really is shocking to think that so many people constantly live in fear. Racism is the ultimate depraved form of bullying at its worst. Well what can I say about Kim Stone that hasn’t already been said before, Just love the sheer determination of this woman. This was a really hard case for her in more than one way and she still stays the professional when it comes down to doing the right thing. More of this mixed duo please.